IRIS technical ceramics goes into the kitchens of homes, bars, and restaurants with an unalterable, scratch-proof, easy to clean countertop. Presented in the “Around the Top” European tour in 2017, SapienStone eliminates problems with hot dishes, chemicals, and scratches. Neolith brand is a breakthrough, high-tech ultra compact slab that makes the most demanding architectural projects easy, offering the ultimate combination of functionality and beauty for interiors, exteriors, and furnishings. A Sophisticated blend of raw materials used to produce the very latest in glass and porcelain as well as the highest quality work surfaces. 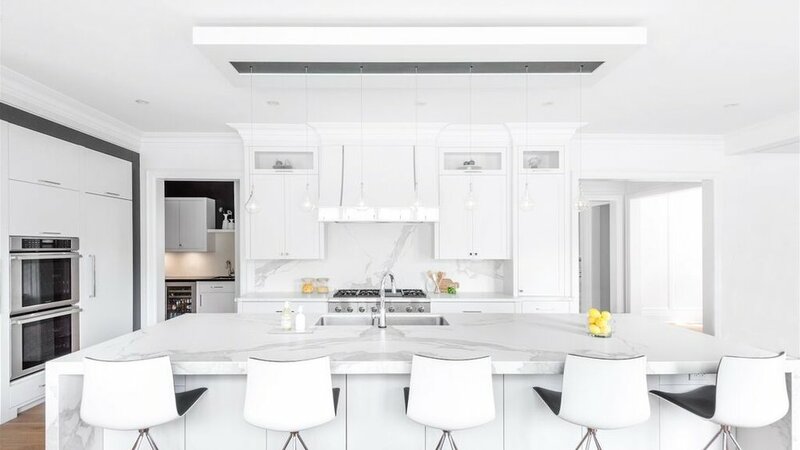 Caesarstone manufactures premium quartz surfaces, which are used in both residential and commercial projects as countertops, vanities, wall cladding, floors, and other interior surfaces. Caesarstone combines beauty with outstanding performance, enabling you to bring your design imagination to life. A product of exceptional resistance and stunning beauty. With the appearance and feel of natural quartz but with a better performance thanks to its high resistance. It comes in an extensive range of colors, designs, sizes and thicknesses. It is a really great product for kitchen worktops, floors, walls and all kinds of indoor surfaces. Cambria is a producer of engineered quartz surfaces in the United States. It is located in Eden Prairie, Minnesota. Cambria designs are available in high gloss and Cambria Matte™ finishes to expand your design options and opportunities. Thanks to its remarkable characteristics, Silestone is the ideal surface choice. The only quartz surface with a 25-year transferable warranty, Silestone offers a wide range of colors and textures to transform your kitchen or bath into a unique space. Solid Surface countertop sheets are non-porous solid surfaces made of natural minerals and acrylic resins. They are completely seamless, so when fabricated and installed, the countertops, backsplash, and even other colors can be easily integrated into one piece. Marble, Granite, Quartzite, Slate, Onyx are beautiful, natural materials that never seem to go out of style and goe with just about everything. Purely natural stone that comes directly from stone quarries and is then cut into thin slabs, polished, and fabricated into countertops.